Glasshouse red spider mite is a common sap-feeding mite that can cause mottled leaves and early leaf loss on a wide range of greenhouse and garden plants. It is also known as two-spotted spider mite. Glasshouse red spider mites on webbing. What is glasshouse red spider mite? Glasshouse red spider mite can be one of the most troublesome problems of greenhouse plants and houseplants. It can also attack garden plants during summer. It is a sap-sucking mite that attacks the foliage of plants, causing a mottled appearance, and in severe cases, leaf loss and plant death. It attacks a wide range of houseplants and greenhouse plants, both ornamentals and edibles, including: vines, peach, nectarines, cucumbers, tomatoes, aubergines, peppers, Fuchsia, Pelargonium, poinsettias, orchids and Impatiens. The host range of this mite is so wide that few plants are completely immune. Glasshouse red spider mite thrives in warm, dry conditions, and is usually only a problem from March to October, but damage can occur at other times in a heated greenhouse. It can also cause problems outdoors in summer, especially in hot, dry weather. Glasshouse red spider mite can be difficult to control as it breeds rapidly in warm conditions and some strains of the mite are resistant to some pesticides. Biological control is a viable alternative to using pesticides, it can give good control and as it avoids resistance problems and the risk of spray damage to plants. Remove severely infested plants from glasshouses in late summer before lower temperatures and shorter days induce the females to seek sheltered places where they will remain dormant for the winter period. 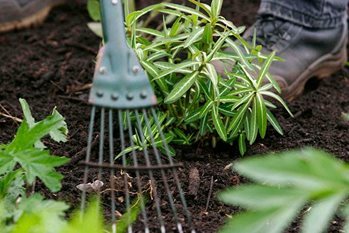 To reduce overwintering mites to a minimum, clear out plant debris, old canes, stakes and plant-ties before the spring. Empty glasshouses can be cleaned thoroughly with a glasshouse disinfectant. Weeds in and around the glasshouse should be kept down as these can act as hosts for the mite. Plants grown at high temperatures in dry, overcrowded glasshouses are more liable to severe infestation. Regular syringing and spraying of plants with water and maintaining a high humidity reduce the danger of severe attacks, but will not, on its own control this pest. All the biological controls are susceptible to pesticides and cannot be used in conjunction with most chemical controls. The exceptions are those with very short persistence, which can be used with care up to a day before introduction of predators. These include plant oils or extracts (organic e.g. Vitax Organic Pest and Disease Control, Origins Bug Control) or fatty acids (organic e.g. Solabiol Bug Free, Doff Greenfly and Blackfly Killer) or a blend of surfactants and nutrients (e.g. SB Plant Invigorator, Neudorff Plant Invigorator, ecofective Plant Defender ), which can be used to keep mite numbers in check before it is time to introduce biological control. Phytoseiulus persimilis is the most commonly used biological control for red spider mite and originaltes from Chile, is now widely used in preference to pesticides. Despite their common name, during the spring and summer glasshouse red spider mites are yellowish-green with a pair of darker markings. Because of this, they are sometimes called the glasshouse two-spotted spider mite. They only become orange-red during the autumn and winter resting period. The mites are small, up to 1mm (less than 1/16in) long, and are just visible to the naked eye, when present in large numbers. They are usually found on the lower leaf surface, along with their spherical eggs. Orange-red, mature female mites spend the winter months resting in cracks and crevices for example in brick walls, glasshouse frames, stakes, canes, soil and plant debris. From late March onwards they leave their resting places and start feeding and laying eggs. The length of the life cycle depends on the temperature, but breeding can be continuous from March to October. At 10°C (50°F) the life cycle takes about 55 days, but this is reduced with increasing temperatures and at 21°C (70°F) development is completed in 12 days. Both immature and adult mites pierce plant tissues with their mouthparts and feed on cell contents. Severe damage can quickly develop in warm dry conditions which favours rapid reproduction by the mites.